fitness center | Counting my cookies... & Eating them too! “Last chance workout” month before leaving for our cruise! 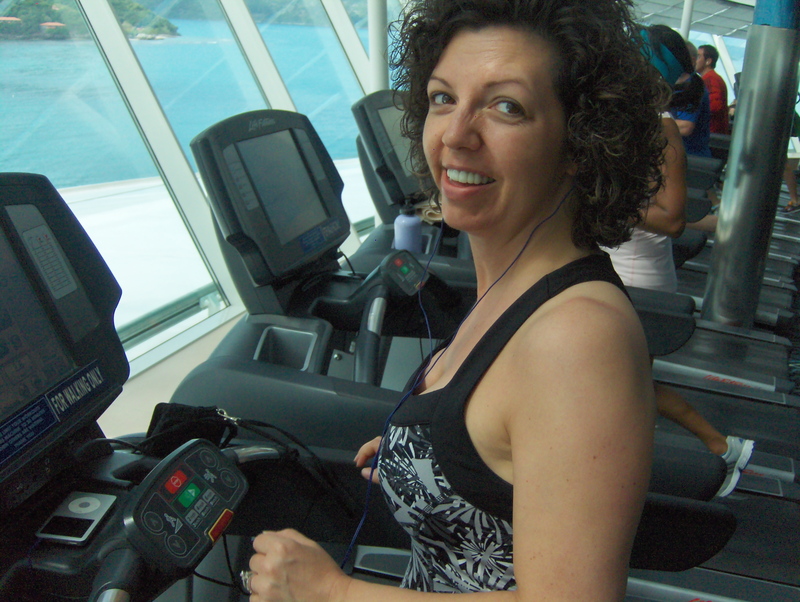 We went on an 8 night Caribbean cruise, it was fantastic! We planned all of our excursions to include a lot of walking and calorie-burning activities. 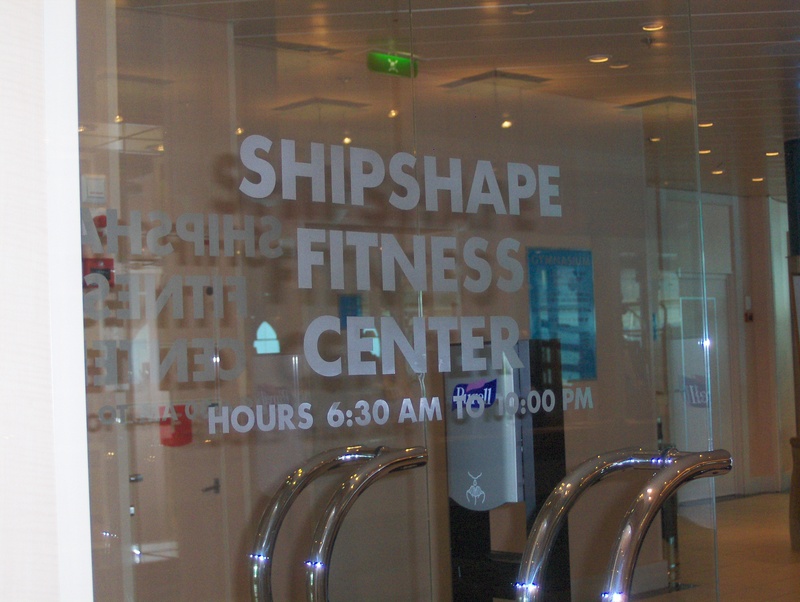 And for the first time ever, we used the fitness center on the ship! So while we certainly did indulge in food (and adult beverages) we really kept the damage to a minimum. Most of the time we each gain almost 10 lbs on a week-long cruise. This time I only gained 5 and I think Jim gained 6 lbs. And we were both able to drop those pounds really quick within a week or so after coming home. 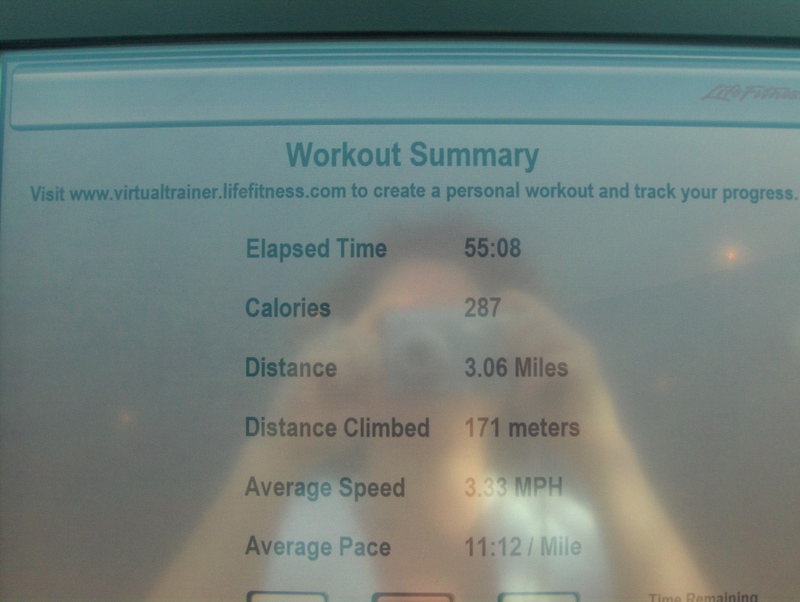 While working out on the ship I started increasing my max speed to 3.2 mph. This seemed pretty comfortable, so I kept it going the rest of the month. Started trying to push duration out a little further, the month was a mix of about every other workout between 45 to 50 minutes. Had one day on the ship that I just felt so full of energy, I pushed out my run intervals to about 5 minutes and couldn’t believe I could do it! !